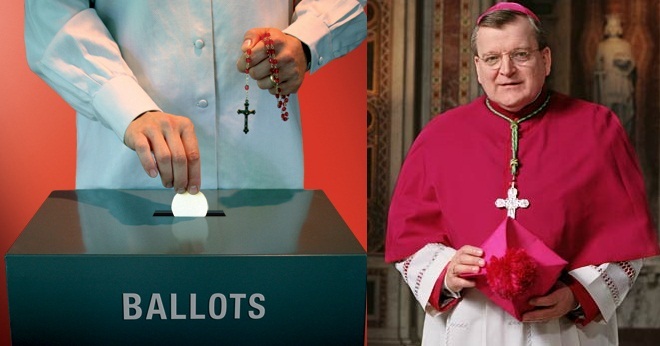 Cardinal-designate Raymond Burke stressed to Catholic voters in a recent interview that they have a “very serious” obligation to uphold the truth of “moral law” in the upcoming mid-term elections. He specifically cited protecting unborn children from abortion and defending traditional marriage. Clarifying that he does not endorse particular candidates, the prelate also spoke of his duty to relay “principles” to the faithful to help inform their vote. “Where there is unjust discrimination –for instance, where you say that a fellow human being, because of the color of his skin, is not a part of the same race as someone, say, who is a Caucasian, that is a kind of discrimination which is unjust and immoral,” he said.